Cloud gaming as a concept, as promising as it may be, has not been able to live up to its expectations. Having been around since the year 2000 with the launch of a startup like G-Cluster (Cai et al. 688), the industry has not been able to attract users away from buying gaming consoles or high-end pc hardware. Meanwhile, if executed well, such concept could potentially bring a shift in the gaming industry. By eliminating the need for high-end consoles or gaming PC, a user is no longer required to pay a premium before playing their favorite games. This could bring about changes in the gaming industry, not only by bringing in new customers but also by changing consumption behaviour within the market. However, being dependant on a stable and fast internet connection, cloud gaming struggles to convince people that high-quality gaming can be processed through an internet server. The lack of appropriate infrastructure to support this service, and the high cost for maintenance even when such infrastructure is available, becomes one of the biggest challenges for cloud gaming provider to address (Cai et al). Moreover, various concerns such as privacy and data mining could also hinder users away from using the service. In spite of that, with rapid development in cloud computing technology and faster broadband network, hope is not lost for cloud gaming to find its success. Unlike gaming consoles and high-end gaming PC’s, cloud gaming takes advantage of the internet to leverage the necessary processing power needed to render games in a cloud server. The rendered products are then streamed through the internet to a user’s device, be it a smartphone, a laptop or a desktop PC (Jarschel et al. 330). Essentially, cloud gaming provides a ‘virtual gaming PC’ inside a user’s PC. It does this by taking the user’s action and sending it to the cloud where in-game actions are processed and rendered through a virtual machine. Encoded changes from within the games are then streamed back to users in a video form. Ideally, these processes all happens within milliseconds from the user’s input (Shea et al. 17). However, because these encoding processes happen through the internet, cloud gaming relies on a fast and stable connection. Certain latency values need to be met, in order for the games to be playable by users. Unfortunately, studies have found that current cloud gaming services are still unable to provide adequate latency for acceptable gameplay (Choy et al. 6). Partly, these problem occurs due to the lack of available infrastructures that can cope with the high bandwidth demand for cloud gaming. The word ‘cloud’ in cloud gaming tend to make us think that the rendering and encoding processes happen digitally without the need of physical object in the real world. As cool as it may sound, these processes still require real-world infrastructure in the form of data centres for the service to function (Shanon, Matter). Data centres also need to be within a certain amount of distances from user’s location, to maximise connection speed and ensure acceptable latency. Connections between these data centres and users also require other forms of infrastructure, a broadband network that delivers high bandwidth internet (Allan, Darren). Making sure that these required infrastructures are available can be expensive, both from a service provider’s perspective as well as the user’s perspective (McCarthy, Kieren). A study by Jarschel et al on the quality of service provided by cloud gaming platforms even questioned the financial viability of maintaining such service (335). From user’s point of view, some infrastructure cost also still needs to be paid, this includes devices (smartphones, laptop, or desktop PC), internet connection (including the cost of subscriptions and hardware such as modem and router) and electricity. The only difference on the user’s side is that the hardware cost is no longer as high. However, with the fee of around $25 per 20 hours that the cloud gaming provider such as Nvidia is asking (with games prices still taken out of the equation), it is understandable that one may ask whether using cloud gaming service truly benefits the user more compared to buying an actual gaming hardware (Grunin, Lori)? Despite of that, cloud gaming provider, such as Sony and Nvidia are reportedly still keen on making the concept a success (Vanian, Jonathan). 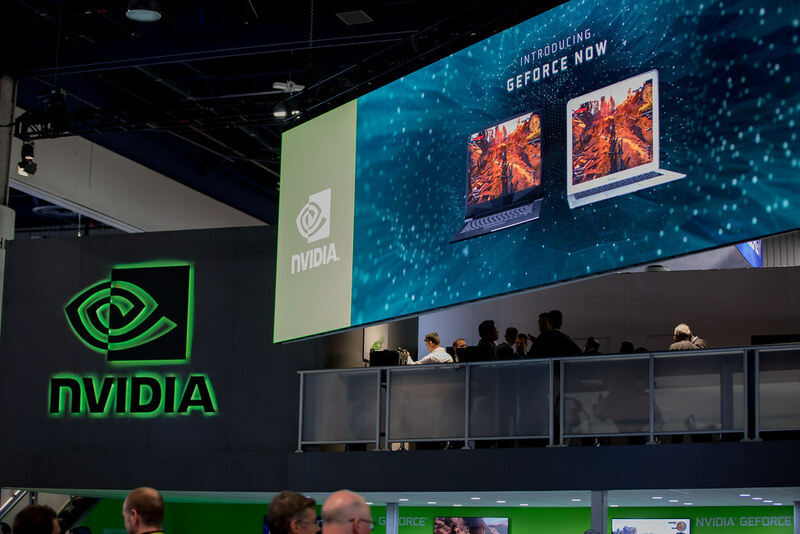 Nvidia, for instance, has been expanding its GeForce Now cloud gaming service by providing sixteen data centres throughout the US and Europe (“GeForce Now – Server Status”), even though the service is still currently in beta. Moreover, the rapid development of cloud computing services by companies like Google and Amazon, and advancement in mobile internet technology with the introduction of the 5G network could provide enough infrastructural backbone for the industry the thrive (Vanian, Jonathan). The term ‘privacy and security concern’ has almost become synonymous with the concept of ‘cloud computing’, and the case is no different for cloud gaming. An abundance of data, from basic things such as web cookies, user’s location, and credit card information that are vulnerable to data mining and profiling; to things like a preference for certain type of games can be stored by provider’s data centres (“Global Cloud Gaming Market Report”). It is natural to ask whether these companies are ready to deal with security matters. Moreover, one can also doubt whether providers can assure that their user’s data are not vulnerable to hackers or companies such as Cambridge Analytica that are keen to exploit such data. After all, privacy and security issues in the gaming industry in and of itself has been major concerns these past years. Consequences like account hacking that can result on lost of virtual items and virtual gaming currency that has real-world value, as well as identity theft, are major concerns for the industry (“Data Privacy and Online Gaming”). Adding a third player, that is cloud gaming companies, in the midst of all these problems could possibly complicate the situation even more. Despite these challenges that hindered cloud gaming from reaching its full potential, the industry could still reach its peak. In fact, a report by Industry Data Analytics that was released at the end of August this year, expect the industry to register a Compound Annual Growth Rate (CAGR) of more than 20% during the period of 2018-2023 (“Cloud Gaming Market Emerging”). Similarly, a report by Research and Markets back in June 2017 also predicted that “the cloud gaming market will grow at a CAGR of 28,86% during the period of 2017-2021” (“Global Cloud Gaming Market Report”). This can be a sign that the industry is currently heading towards the right way. With rising interests in the gaming industry, cloud gaming providers can capitalise by lowering the barrier of entry for a new customer to enter the market. If cloud gaming provider managed to find a good balance between cost and infrastructure, while at the same time answer to the privacy and security concerns, this services could potentially bring a new breed of gamers into this $138bn industry (Ell, Kellie). Allan, Darren. “Nvidia shows how GeForce Now 5G streaming could make high-end gaming hardware irrelevant.” Tech Radar, 21 Sept. 2018, https://www.techradar.com/sg/news/nvidia-shows-how-geforce-now-5g-streaming-could-make-high-end-gaming-hardware-irrelevant. Accessed 21 Sept. 2018. Cai, Wei, et al. “The Future of Cloud Gaming [Point of View].” Proceedings of the IEEE, vol. 104, no. 4, Apr. 2016, pp. 687–91. Crossref, doi:10.1109/JPROC.2016.2539418. Cai, Wei, et al. “Toward Multiplayer Cooperative Cloud Gaming.” IEEE Cloud Computing, 2018, pp. 1–1. Crossref, doi:10.1109/MCC.2018.326105129. “CES 2017 NVIDIA Booth.” flickr, Nvidia Corporation, 5 Jan. 2017, https://www.flickr.com/photos/nvidia/32144755525. Choy, Sharon, et al. “The Brewing Storm in Cloud Gaming: A Measurement Study on Cloud to End-User Latency.” 2012 11th Annual Workshop on Network and Systems Support for Games (NetGames), IEEE, 2012, pp. 1–6. Crossref, doi:10.1109/NetGames.2012.6404024. “Cloud Gaming Market Emerging Technology in Gaming Industry 2018 to 2023.” Market Insider, 29 Aug. 2018, https://markets.businessinsider.com/news/stocks/cloud-gaming-market-emerging-technology-in-gaming-industry-2018-to-2023-1027495046. Accessed 21 Sept. 2018. Ell, Kellie. 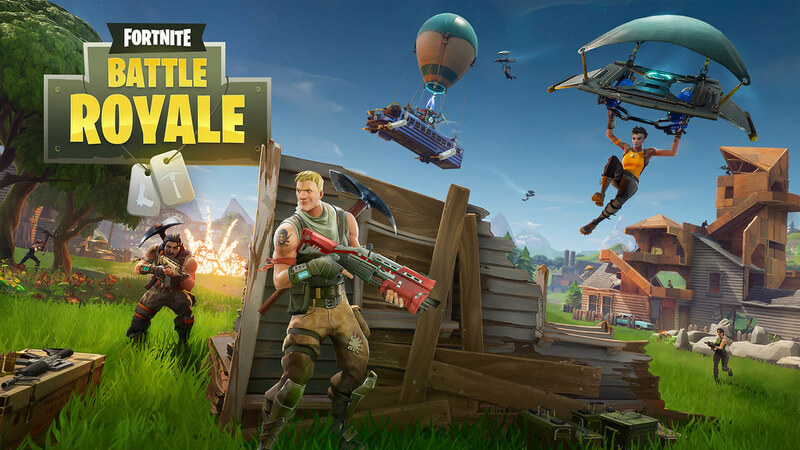 “Video game industry is booming with continued revenue.” 18 July 2018, https://www.cnbc.com/2018/07/18/video-game-industry-is-booming-with-continued-revenue.html. Accessed 21 Sept. 2018. “Fortnite Battle Royale Receives New Snipers-Only Mode.” flickr, Bago Games, 29 Jan. 2018, https://www.flickr.com/photos/bagogames/39943037982. “GeForce Now – Server Status.” Nvidia, 21 Sept. 2018, https://shield.nvidia.com/geforce-now-server-status. Accessed 21 Sept. 2018. “Global Cloud Gaming Market Report 2017-2021: Major Factors Hindering the Growth of this Market is Privacy and Security Concerns – Research and Markets.” prnewswire, 10 Jan. 2017, https://www.prnewswire.com/news-releases/global-cloud-gaming-market-report-2017-2021-major-factors-hindering-the-growth-of-this-market-is-privacy-and-security-concerns—research-and-markets-300388434.html/. Accessed 20. Sept 2018. Grunin, Lori. “10 Things you need to know about GeForce Now.” cnet, 6 March 2018, https://www.cnet.com/news/things-you-need-to-know-about-geforce-now-nvidia/. Accessed 21 Sept. 2018. Jarschel, Michael, et al. “An Evaluation of QoE in Cloud Gaming Based on Subjective Tests.” 2011 Fifth International Conference on Innovative Mobile and Internet Services in Ubiquitous Computing, IEEE, 2011, pp. 330–35. Crossref, doi:10.1109/IMIS.2011.92. Mattern, Shanon. “Infrastructural Tourism.” Places Journal, July 2013, https://doi.org/10.22269/130701. Accessed 22 Sept. 2018. McCarthy, Kieren. “Nvidia promises to shift graphics grunt work to the cloud, for a price.” The Register, 11 Sept. 2018, https://www.theregister.co.uk/2018/09/11/nvidia_geforce_now/. Accessed 21 Sept. 2018. Shea, R., et al. 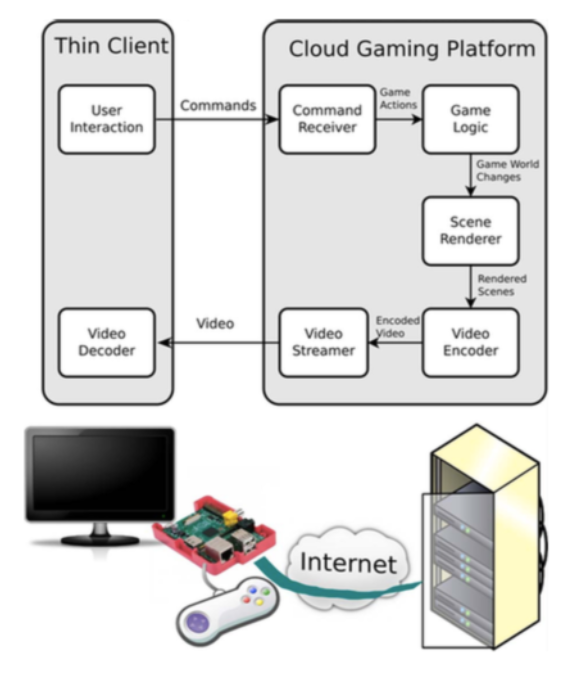 “Cloud Gaming: Architecture and Performance.” IEEE Network, vol. 27, no. 4, 2013, pp. 16–21. Crossref, doi:10.1109/MNET.2013.6574660. Vanian, Jonathan. “Nvidia, Sony and Others Promise a New Era of Cloud Gaming. Here’s What Their Services Are Like.” Fortune,30 Aug. 2018, http://fortune.com/2018/08/30/nvidia-sony-cloud-gaming/. Accessed 20 Sept. 2018.